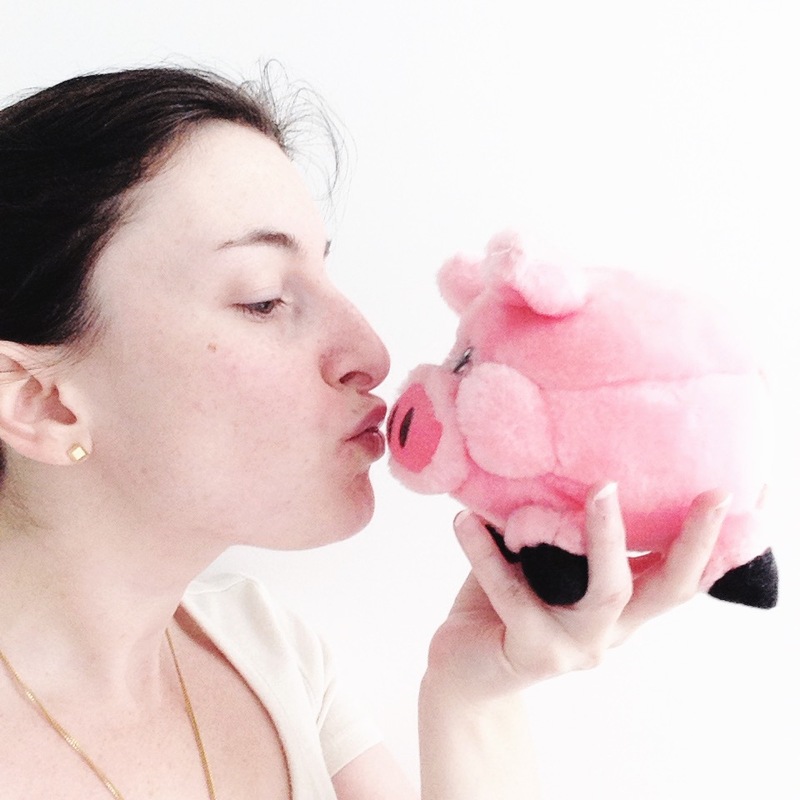 Brittany Taylor is the chick behind SeeBrittWrite, and she believes in the transformative power of stories. She uses words to turn businesses into story-driven brands. Her work has appeared in national magazines, both in print and digital, but her next project might just be yours. Service pieces are my forte–I love writing features that will help people live their lives better. This post is one that’s particularly close to my heart. I wish someone had sent the same advice my way when I was a kid. For some families, fights seem like a routine. Perhaps you’re in your room listening to music or studying when you hear the raised voices. And for other families, it’s a once-in-a-blue-moon thing, but when it happens, perhaps on a weekend road trip, it’s explosive. It doesn’t matter what they’re fighting over—money troubles, work stress, family issues—for many girls, when they hear Mom and Dad argue, the only thing that comes to mind is the D-word. Cue the freak-out. Here’s how to survive fights that have absolutely nothing to do with you. One of my favorite GL features is this one, which opened the feature well of Girls’ Life’s August/September ’13 back-to-school issue. It might be targeted at the tween/teen demographic, but it’s applicable to anyone. Somewhere between Crocodile Hunter Steve Irwin and Bill Nye the Science Guy is Liz Bonnin, wildlife presenter and host of the BBC America show Bang Goes the Theory, which explores fascinating areas of science live on camera. I had the opportunity to chat with her about her work, and how she got started in science and television. I had the pleasure of working with cookbook author and recipe developer Jennie Schacht for Girls’ Life’s June/July issue. 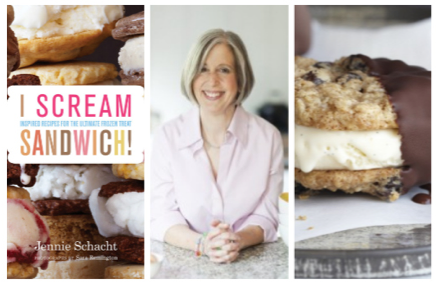 We featured three recipes from her latest title (she has seven total, and the recipes in them are seriously drool-inducing) I Scream Sandwich, and she kindly let me interview her about her dream job. Some of the best inspiration for writing comes from life. As soon as I hopped down from the bed and eyed my handiwork, I knew I had to share it with the GL readers. It’s one of the most-shared and pinned posts from girlslife.com in 2013. 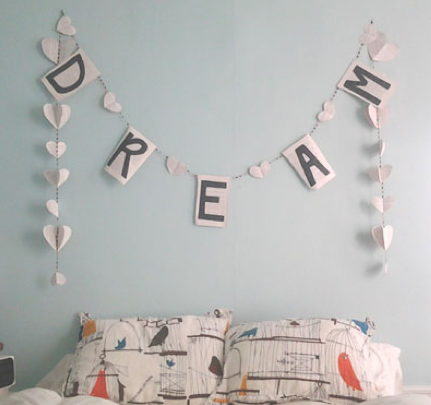 You don’t have to be a bookworm to adore this vintage-looking banner. Perfect for above your bed, bulletin board and beyond, we love that it’s totally customizable…and seriously easy to pull off. Try making one for above your bedroom’s door frame, to spread across the breakfast nook as a V-Day surprise for the fam or a mini one for your locker.